On 1 July 2018, it will be a year since the introduction of the goods and services tax (GST). Heralded as India’s greatest tax reform, the GST aims to free Indians from multiple taxes, setting the base for a unified common market. One Nation, One Tax, One Market. Under GST, every minute detail of every item sold is being digitally uploaded in a central tax database for over eight million Indian businesses. If we average minimum 120 invoices per business, it still means billion records every month. This is a mammoth task which has proved both challenging as well as rewarding. The challenges have ranged from being infrastructural - complicated compliance, tax slab revisions or last minute timeline alterations to psychological – as India is not a DIY (Do it yourself) economy. Especially, when it comes to taxation, we find compliance a complicated matter and most often than not evasion is seen as an easier way out than compliance. GST by far has been the biggest economic reform since independence. While deliberation around this paradigm shift started 17 years ago, majority public lost track of progress around it over years. Therefore, when final announcement was made on 1 July 2017, it was met with mixed reactions by different segments of the society. Some early adopters embraced the change and the other half raised questions, concerns and queries galore. Therefore, the very first challenge facing authorities (political and bureaucratic) was evangelisation, seamless adoption and execution of the new tax regime. 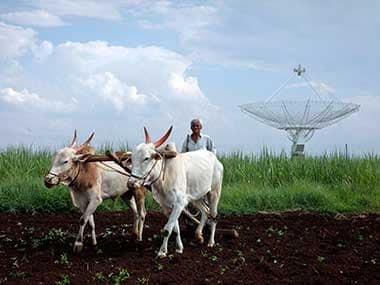 Shifting a pen-and-paper economy like India to a completely digital platform was a huge challenge, for which various solutions have been introduced. Multiple outfits saw an opportunity in the market and introduced software and applications to make GST returns filing easy. Most of them also conduct counseling and offer hand-holding services for a step-by-step guide to file returns. Foreseeing consumer needs, certain players have started offering integrated solutions for all GST-related needs-- from generating invoices to filing returns. This is a huge step forward and provides the necessary guidance to small and medium sized enterprises (SMEs) and other similar segments for GST compliance. Revenue collections of over Rs 1 lakh crore-mark for the first time in April 2018 is a testimony of a good start. Businesses in India, unlike countries like Malaysia for instance, were not given any time to prepare ahead of GST implementation. This sudden change, naturally, led to resistance from various segments of the society. Not only are we averse to digital adoption, but for long we have been a tax evading society at large and like to look for ways to circumvent tax, rather than complying withthe law of the land. To top it all, India has a federal structure and while unified GST is simpler and desirable, expecting state governments to give up their fiscal authority and adopt to a central structure still seems like a distant dream. 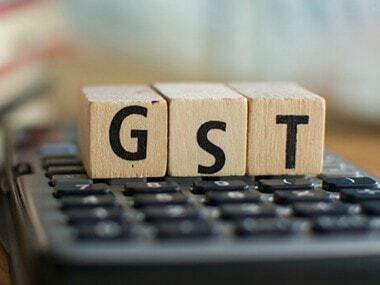 In the past 365 days of GST implementation, the tax structure and related nuances have undergone multiple iterations which led to debates and discussions, raising questions around compliance. This abrupt introduction and implementation is still being seen as one of the biggest challenge for GST adoption. As the large part of our economy (mostly the SME and Micro, Small & Medium Enterprises -MSME sector) struggles to tides over roadblocks such as digital transition, it is met with further unpleasing experience of an inefficient interface. Taxpayers faced concerns while accessing and working with the GST network – slow response rate, incompetent error resolution mechanism, and absence of functionality to rectify inadvertent errors in the system added to worries of small business owners. These, already low on working capital businesses, had to face hardships as taxes were applicable in case of branch transfers, delays in refund processing. The implementation of e-Way bills was a bold move, which made it mandatory for every transporter carrying goods over Rs 50, 000 to carry it. People faced challenges while generating e-way bills, after the portal crashed on the launch date- 1 February, 2018. After a wobbly start, the GST council made a decision-- inter-state e-Way Bills would be implemented first followed by intra-state e-Way bills. The second innings of e-Way bill system implementation was successful, replacing the earlier state-wise way bills implementation model. The e-Way bill is the best solution to connect all parties of the value chain-- suppliers, transporters, and recipients, under one ecosystem. This makes tracking the movement of goods and keeping a stern check on tax evasion, easier. Using end-to-end compliance solutions, people can integrate their e-Way bills data to the invoices raised in their ERP system and track the movement of goods to optimize the overall efficiency of the value chain. The patchy GSTN Network coupled with policy rollbacks and amendments, actually aided tax evasion. The mismatch between initial and final returns filed by taxpayers, proved to be a big thorn in the path of successfully rolling out GST. Because of this, taxpayers were unable to correctly report revenue statements. But the introduction of e-Way bills has sparked a wave of reform. In April, when e-Way bills were introduced, about Rs. 94,000 crore was collected as GST returns. These collections are higher than the average collections of Rs 91,102 (July 2017- April 2018). The increase in these numbers clearly show that there is a reduction in the avenues for evasion. 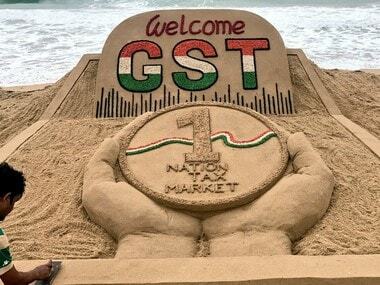 Standing at the one year anniversary of GST, it is safe to say that we are well-ahead of the initial hiccups. As per April 2018, the GST collection crossed 1 trillion. Total assesses stood at 8.71 million and the total returns filed were around 6.04. But, the compliance remains at 69.5 percent, according to the Ministry of Finance. This indicates that tax collections have begun to stabilise and it’s now essential to simply make sure that the process becomes smooth.